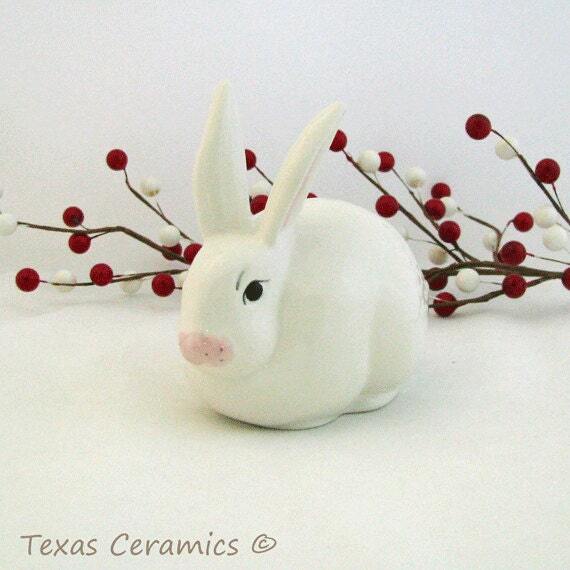 This little soft white ceramic bunny rabbit with dark eyes, pink ears and nose is a clever way to store your cotton balls and keep them out of sight. 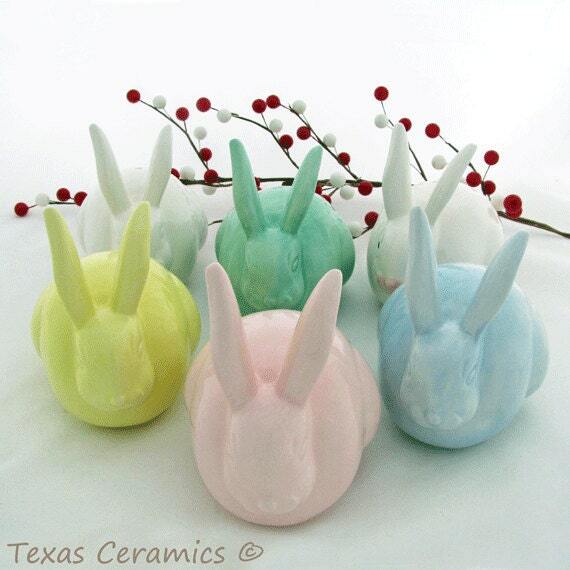 The little bunny rabbit cottontail holder or keeper is also a great home accent item. 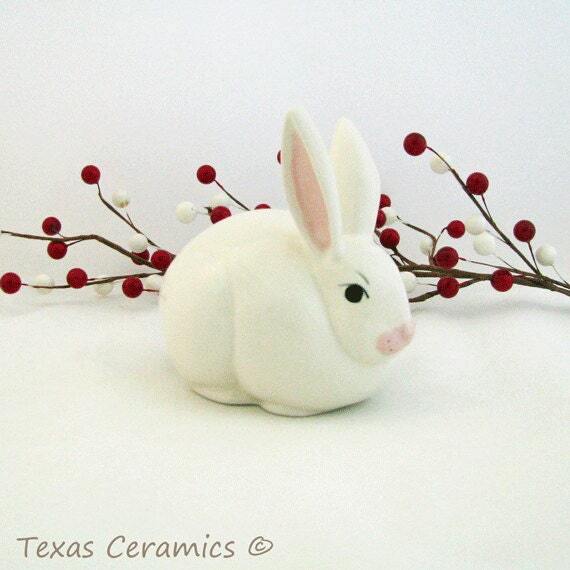 The bunny rabbit is made of kiln fired ceramics using a very old vintage mold that is no longer made. 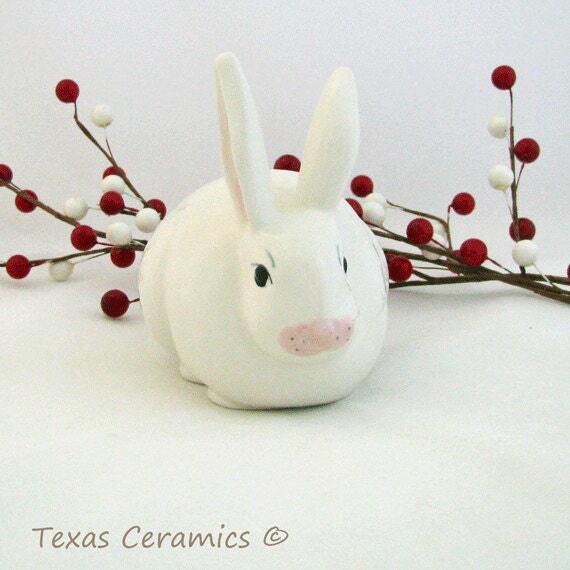 All detail is hand painted, the bunny is finished in a glossy lead free glaze. The detail on the face and ears will never fade, flake or peel. The face of the rabbit has a light pink nose and dark eyes, the inside of each ear is light pink. The only opening is where the tail would be, the bottom is professionally finished. Great quality, I really love this item. So cute too! I love my bunny cotton ball keeper!!! Lovely addition to my bathroom. Fast shipping. 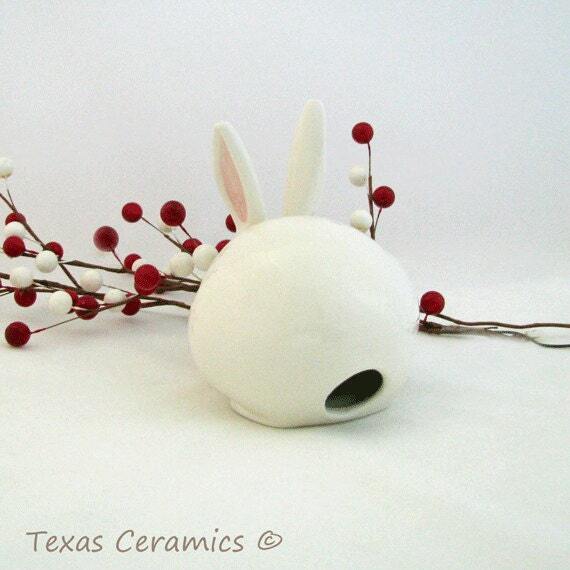 This ceramic bunny was made so well....just perfect for an Easter gift!!! Thank you so much for your super services and bringing a terrific surprise for a friend!! !